I have been involved with (the sport of (artistic)) gymnastics (referred from here onward as "Conventional Gymnastics") and related discipline since i was 14. So when this program came out some time ago, i was very interested in this. Many exercises develop and display agility and coordination, including those outside the "sport of gymnastics". 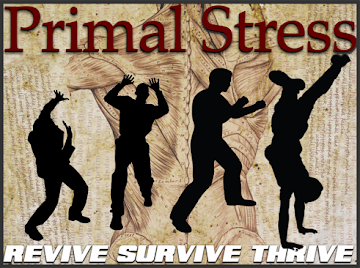 These include exercises from the disciplines of martial arts, dances and track and field. Therefore going by this generic definition, real gymnastics encompass more than what Conventional Gymnastics include. The biggest feature of Conventional Gymnastics is that is is sold as a sport. Several dictionaries define "sport" as having a competitive nature. This is a big draw for children to gymnastics since they are supple and learn movements easily and quickly. However on the other hand, this is the exact same feature that puts off adults from taking up "gymnastics". Often when adults take up "adults gymnastics class" they learn or are taught exercises (or more aptly, "stunts") like handstands, jumps and flips which they are not ready for. Neither are they taught proper physical preparation (prehab and rehab) for the "sport" that they are "training" for. Many adults can't even move properly in normal human movements like squat, lunge, jump, pull up, push up etc. No way are they going to learn these "stunts" safely in a matter of weeks or months. And because it is sold as a sport, what is taught is not what is truely functional or necessary for a normal human being. For example, you can't do a push up properly, learning a push up is more functional and necessary for you than learning say a handstand. The exact same feature that put off other adults mentioned from Conventional Gymnastics above also put me off from it. When you are no longer a "gymnast" in high school and have other commitments like work, it gets very hard to train in Conventional Gymnastics. Most if not all my fellow gymnasts in high school have long quit training Conventional Gymnastics after high school. Very simply for the reason of lack of proper coaching and lack of access to a proper gymnastics training facility. However it did not stop me from taking up other disciplines like martial arts, particularly Capoeira. The training in Capoeira is done on hard wooden floor, sometimes on hard tiles or marble floor. In sharp contrast to the fully padded surfaces in Conventional Gymnastics. Yet we have Capoeiristas who can do the same movements or equivalent to those in Conventional Gymnastics. 1. That it is possible for adults to get great in movement without a background in Conventional Gymnastics. 2. That it is possible for anyone to get great in movement without a proper gymnastics training facility. The formula is Incremental Progression aka Sophistication. Some other Non-Conventional Gymnastics disciplines known for producing great movers include Breakdance / Breaking / Bboying, Yoga, Pilates etc. However they still lack one thing: they sell themselves as a particular discipline or sport that they exclude non-practitioners from the benefits of their systems. So a Capoeirista does not get the benefits of training in Ballet unless he takes up Ballet. Only when i took up CST then i found a system which is not a discipline nor sport which can benefit anyone. CST is not a discipline in the sense that you can still be doing your other discipline, and using CST principles. Eg if you are a Conventional Gymnast using CST principles, you are no less a gymnast than other Conventional Gymnasts. CST is a tool or a vehicle rather than a discipline. It can be applied to any discipline that you are involved in. In CST, you are not "learning CST", you are learning to move better, regardless of your application. CST gives you a toolbox to better your performance in any discipline. When i first took up CST, it was to learn Clubbell exercises and be certified to teach Clubbell training, just like what i had with kettlebell training previously. I did not know that the joint mobility warm up (1st Wing) and yoga cool down (3rd Wing) were such a huge component of CST that they are equal if not more important than the training proper (2nd Wing). Tactical Gymnastics (TACGYM) comes from the second wing (subsystem) of CST: "Yoga, Calisthenics and Bodyweight Exercise" (as named in the Rmax Forum). This is the third evolution of the presentation of the materials in this wing. The first two being Bodyflow and Prasara Yoga. The first program that i encountered in the 2nd Wing was Flowfit. Which is a series of Bodyflow exercises done in a continuous flow (or Routine, as it is called in Artistic Gymnastics). When i did Flowfit for the first time, i was totally impressed. There are elements from Conventional Gymnastics and Capoeira yet it was neither. Movements are familiar yet new. It is a program to learn to move better, not to be an athlete in any particular discipline. It is simple yet sophisticated, starting from really easy exercises that an elderly person can do, and progressing to really hard exercises that can humble the toughest athletes. It is a program which can bring you safely from sedentary to a great mover in a clearly defined progessive manner. Also a unique thing about Flowfit is that not only is it a strength program, but it is also a conditioning program. Whereas in Conventional Gymnastics, it is only strength with little conditioning. This was the answer i had been looking for: an approach that allows anybody at any level to start and progress to be a great mover in a few simple steps. Simple yes, but easy no. But as long as you commit to doing it you would reach Level 4 and beyond. 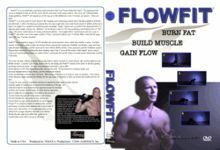 If anyone wants to start doing Gymnastics (or even any other bodyweight disciplines), Flowfit is a great program to start with. In case you do not know, all CST Instructors have to "master" Flowfit. Flowfit contains many exercises that are excellent for movement ability (aka agility and coordination, as per dictionary definition) and many bodyweight exercises can be reduced to them. The TACGYM program proper contains three programs, one each with Protocol 2, Protocol 4 and Protocol 5 of TACFIT. It arranges Bodyflow exercises to be done under Time or Reps, having 4 levels of Sophistication. If you are familiar with other CST or TACFIT programs, you would find the materials familiar yet new. Unlike in Flowfit or Prasara Yoga where the emphasis is flow (or routine), the emphasis in TACGYM is repetition under intensity. This is particularly applicable to tactical operators who have to maintain complex motor skills under high exertion levels. Take note however that TACGYM is meant for Low and Moderate Intensity only. The exercises in TACGYM are locomotion drills, also called low acrobatics, to get you from point to point fluidly. You would hear from Scott Sonnon in the instructional videos included that TACGYM exercises train the rotational power of your myofascia that you can't get from conventional strength training. Since this is the third evolution of the presentation of the materials in the 2nd Wing of CST, you would expect it to be better than the previous two. Indeed it is. Where previously the movement progression is not so clearly defined, it is much more clearly defined in TACGYM. This would be more of a concern to beginners in CST. Since this program contains locomotion drills, you would require more space than say TACFIT Commando to do the movements. Also because of the repetitive nature, some of the movements can be hard on certain parts of your skin, eg on your knees, balls of feet and shoulders. However this is not that great of a concern at the higher levels where you combine several components from the lower levels to create combination movements and thus lower repetitions.